@iamre321: it's from exiles (2009) #6! Thank you soo much!!! I couldn't find this anywhere, thought it was fan art for a while... You're awesome, thanks again! I've never read Exiles, anyone know if its good? @emperorthanos-: Batman/Superman #29. Superman was amped on that instance though. Oh nice thread, Ill have to return here with some scans later. @warlockmage You're usually go-to guy for X-Men, can you help a guy out? @hellionvulcan You're Iceman guy, maybe you can help too? Thanks in advance, guys. If you can't help I'll find 'em eventually. 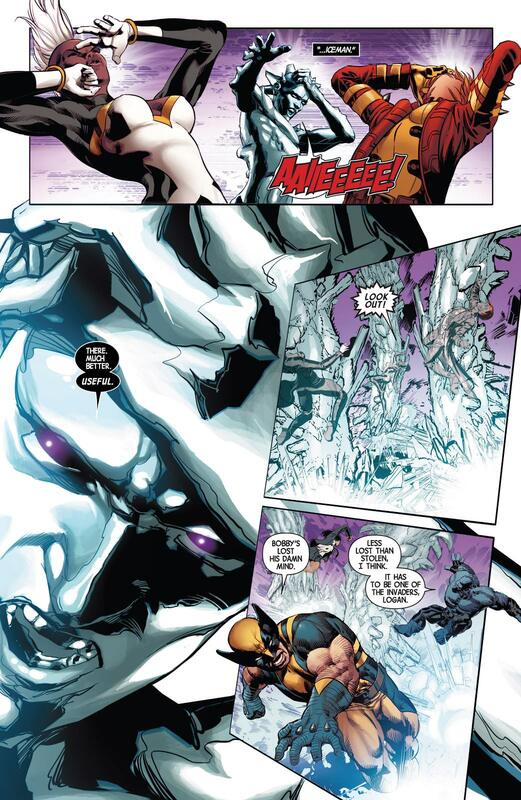 Iceman freezing Thing comes from Wolverine and the X-men #14, Avengers vs X-men #11 and Incredible Hulk #336. @supremegeneration: The first Juggernaut scan is from Uncanny X-Men (1963) #411. It's worth noting that Juggernaut was depowered in both of the scans you posted though. 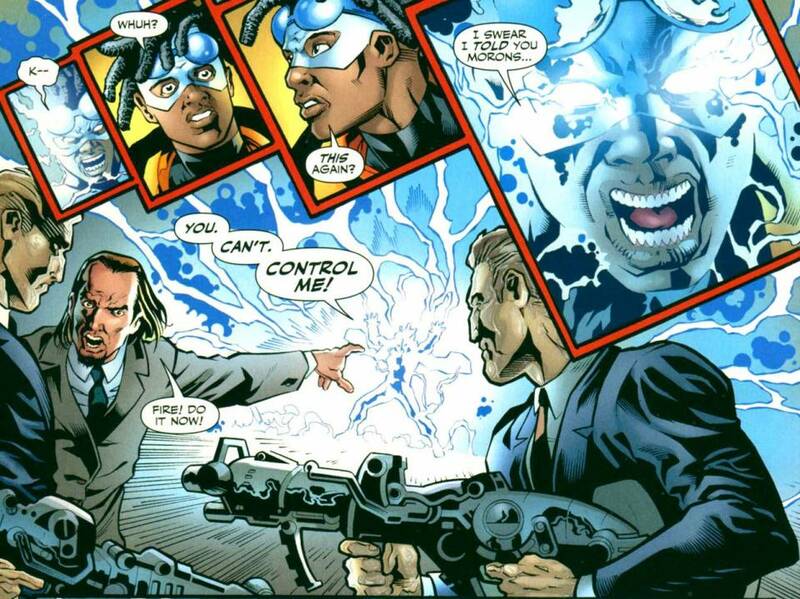 Where is this scan of Static resisting the AlE from? @chimeroid: Thanks, I found that out a few minutes after creating the post. lol. Basically I thought we needed a thread to find out where a certain image is from or in which comic did that character do that. So hope those of you who know the answer to the questions posted in this thread will help the person or persons that putted it, by using this thread. Thank you and I think I will continue with an example. Any idea where this scan is from? I am trying to prepare a topic about Wolverine's martial art skills. Do you have any ideas where is these from ? Which comic issue is this from? Anyone know what comic this is from? Anywhere knows where this is from? dose anyone know where these from ? @renny: Marvel Comics Presents vol.2 #9.